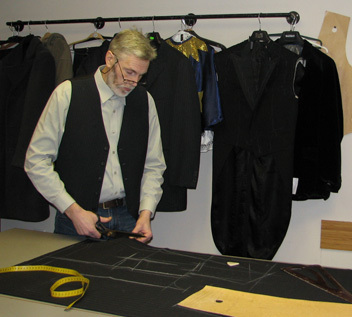 Küütri Rätsep offers you a great possibility to order custom-made pants or waistcoat that fits you perfectly. Each order is fulfilled by giving our customer something that really fits him. Our craft is unique and has a high quality. In addition you have the opportunity to order high quality fabrics from UK or to buy them straight from our studio. In both cases our tailor will give you the advice about the material that is best suited for you.